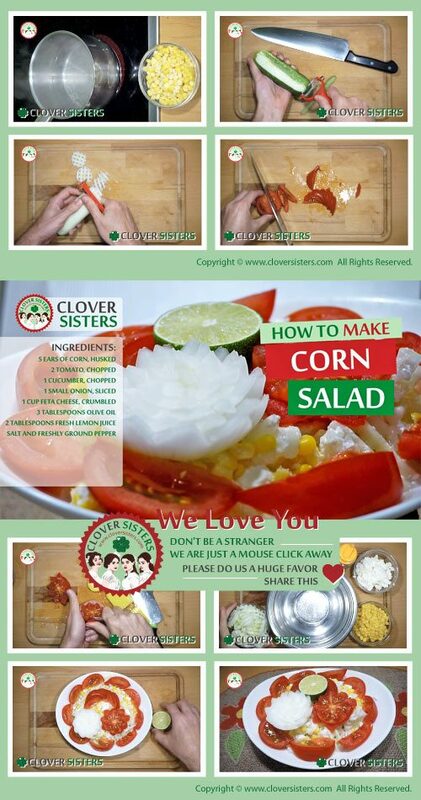 Corn salad is full of fresh veggies with just the right amount of acidity from tomato and lemon. This easy, refreshing corn salad truly captures essence of summer. Cook the corn for about 3 minutes in a large pot. 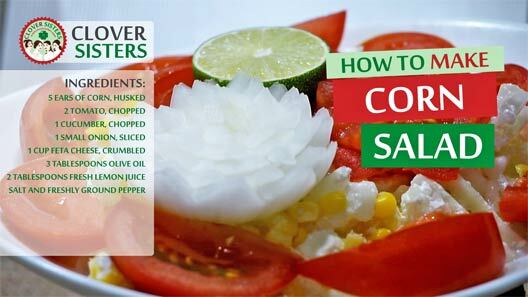 Mix cooled corn, tomato, cucumber, onion and feta in a small bowl. Drizzle with the olive oil and lemon juice, and toss. Add the salt and freshly ground pepper to taste. Cover and refrigerate until ready to serve.